Emergency Dentist Scottdale - Don't Wait! Many people don't see a dentist on a regular basis. They go only when they feel they have a problem. We call this "emergency treatment" as opposed to "preventive treatment". While these patients may feel they are saving money, it usually ends up costing much more in both dollars and time when they need to see an emergency dentist Scottsdale when they weren't planning on it. The reason for this is that most dental problems don't have any symptoms until they reach the advanced stages. An example is tooth decay. We hear all the time, "Nothing hurts...I don't have any problems". But tooth decay doesn't hurt until it gets deep and close to the nerve. By then it's too late and an this is usually when people seek out an emergency dentist in Scottsdale. Then a root canal and crown are usually necessary, instead of the small filling, which could have been placed several years ago when the cavity was small. We can usually detect a cavity 3-4 years before it may develop any symptoms. It is not uncommon to see a patient with a tremendous cavity and they have never felt a thing! The other thing that makes a hurt is a dental infection or abscess. This results from tissue dying and turning into pus which can expand and travels to other areas of the body. These swellings can become life threatening and require hospitalization for drainage and IV antibiotics and decrease the likihood of a successful outcome after the infections is gone. People tend to hold off hoping the problem will settle down or go away. While that often works during the week, it will probably blow up on you when it’s late a night, on the weekend, or when you are out of town-----and it’s going to hurt until the antibiotics start attacking the source of the infection. At the worst, it is possible that a fixable situation could deteriorate to where there is no other choice but to pull the tooth. 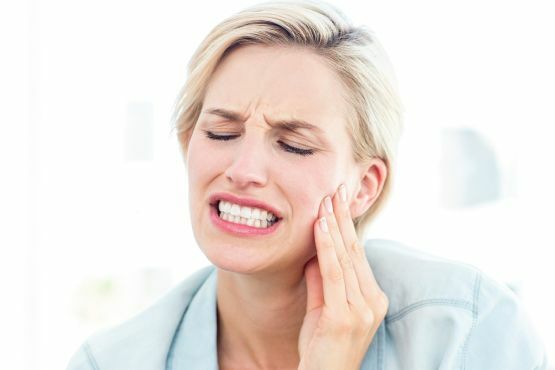 So not only is it inconvenient and hurts, it becomes very costly to replace the missing tooth. Nothing good can come out of waiting to see the dentist.